Discount Tire / America’s Tire, based in Scottsdale, Arizona, is America’s largest tire and wheel retailer. The company does business under the trade name Discount Tire in most of the United States and America’s Tire in Oregon and parts California. The company currently operates more than 800 stores across the country. In 2010, the company marked its 50th year serving customers as their trusted tire retailer in local markets across the United States. 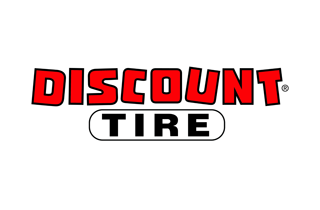 Discount Tire / America’s Tire also sponsors the NASCAR Nationwide Series, Monster Energy AMA Supercross, Formula D Racing, and Global RallyCross Championship. MillerCoors brews, markets, and sells their portfolio of brands in the United States and Puerto Rico. Built on a foundation of great beer brands and nearly 300 years of brewing heritage, MillerCoors continues the commitment of its founders to brew the highest quality beers. MillerCoors is the second largest beer company in America capturing nearly 30% of United States beer sales. Led by two of the best-selling beers in the industry, MillerCoors has a broad portfolio of highly complementary brands across every major industry segment. Miller Lite is the great tasting beer that established the American light beer category in 1975, and Coors Light is the brand that introduced consumers to refreshments as cold as the Rockies. MillerCoors brews premium beers Coors Banquet and Miller Genuine Draft and economy brands Miller High Life and Keystone Light. The company also offers innovative products such as Miller64 and Sparks. The MillerCoors craft and import company, Tenth and Blake, imports Peroni Nastro Azzurro, Pilsner Urquell, Grolsch, and Molson Canadian and features craft brews from the Jacob Leinenkugel Brewing Company, Blue Moon Brewing Company, and the Blitz-Weinhard Brewing Company. MillerCoors operates eight major breweries in the United States as well as the Leinenkugel’s craft brewery in Chippewa Falls, Wisconsin and two microbreweries, the 10th Street Brewery in Milwaukee and the Blue Moon Brewing Company at Coors Field in Denver. The MillerCoors vision is to create the best beer company in America by driving profitable industry growth. MillerCoors insists on building its brands the right way through brewing quality, responsible marketing and environmental and community impact. 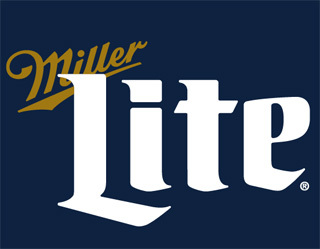 MillerCoors is a joint venture of SABMiller and Molson Coors Brewing Company. Learn more at MillerCoors.com, Facebook.com/MillerCoors, or Twitter through @MillerCoors. Not sure which type of car you want? That’s okay. Autotrader lets you research and compare new, certified and used cars by searching for body type, mileage, price and numerous other criteria. Our Lifestyle Centers allow you to locate vehicles that meet your needs and compare them side by side. Autotrader (http://www.autorader.com) is the only website with more than 3 million vehicle listings from 40,000 dealers and 250,000 private owners. We provide the largest selection of vehicles and attract more than 14 million qualified buyers each month. 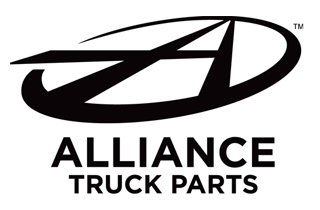 Alliance Truck Parts has over 30 product lines that serve the commercial transportation industry with reliable new and remanufactured parts and accessories. Alliance parts are available at over 800 retail locations including Freightliner, Sterling, Thomas Built Buses, and Western Star dealerships in the United States and Canada and Travel Centers of America and Petro locations nationwide. Alliance Truck Parts is a brand of Daimler Trucks North America. 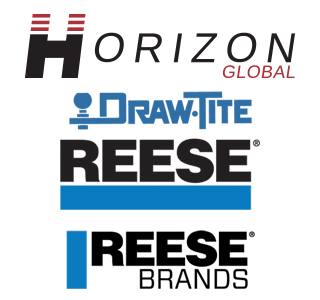 Horizon Global is a designer, manufacturer and distributor of a wide variety of high-quality, custom-engineered towing, trailering, cargo management and other related accessory products on a global basis, serving the automotive aftermarket, retail and OE channels. We provide our customers with outstanding products and services that reflect the Company’s commitment to market leadership, innovation and operational excellence. Our proprietary, market-leading products solve customer problems and are continually refined to meet changing customer needs. Through the addition of new products, customers, end markets and geographic areas, Horizon Global will remain on the strategic path toward further growth. With headquarters in Troy, Michigan, Horizon Global has approximately 2,700 employees at more than 20 facilities in 10 countries. Please visit http://www.horizonglobal.com, Draw-Tite (http://www.draw-tite.com), Reese (http://www.reeseprod.com), Reese Brands (http://www.reesebrands.com) and Bulldog (http://www.bulldogproducts.net). Wurth is quality. 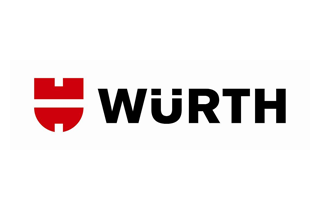 The Wurth Companies of North America provide customers with everything they need to succeed in the automotive, industrial, and woodworking industries. Whether it be a small body shop or nationwide fleet maintenance company, Wurth offers the unparalleled selection and unbeatable service that is synonymous with the brand. Wurth Industry of North America specializes in the creation and management of vendor managed inventory programs for industrial production. With 420,000 line items available, Wurth Industry of North America is the most complete C parts supplier in the industry. Wurth North American Wood Division companies build strong partnerships for the cabinet and woodworking professional by providing premier manufacturer brands combined with superior delivery systems through their own fleet. The Wurth Group’s 400 companies throughout 84 countries serve over 3 million customers every day through 32,000 sales representatives. 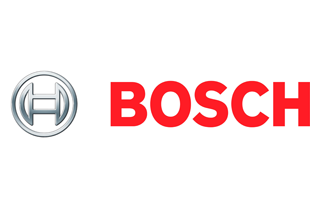 Bosch is an international corporation founded by Robert Bosch in the late 1800’s. Even though the name Bosch is closely associated with the automotive industry, it also supplies many other products and services including industrial technology, power tools, security solutions, and household appliances. Charlotte Ski Boats is dedicated to providing boating enthusiasts with only the best products and marine services possible. We are your premier MasterCraft Ski & Wakeboard boat dealer and Tahoe Pontoons boat dealer in North Carolina (www.charlotteskiboats.com). Fitzgerald Glider Kits is North America’s largest and most trusted Glider Kit assembler. Fitzgerald Glider Kits specializes in installing the remanufactured main components (engine, transmission and/or rear ends) from a donor truck that was either wrecked or unsafe for the road, into a new cab and chassis built by the OEM. We offer Peterbilt, Kenworth, Freightliner and Western Star Glider Kits with pre-emission Detroit, Cummins and Caterpillar engine options. This process creates a reliable, more fuel efficient truck that requires less maintenance, yields less downtime and has the safety features and amenities owners have come to expect in trucks on the road today. Fitzgerald Glider Kits also offers one of the best Nationwide Warranties for their kits and has over 1,000 approved service shops and over 150 Preferred Service Centers across the US. The company is based in central Tennessee and produces more than 3,500 trucks per year. Visit us online at https://www.fitzgeraldgliderkits.com/. Ford Racing – North America, based in Dearborn, Mich., is responsible for major racing operations in North America, including NASCAR (Sprint Cup, Nationwide Series, Camping World Trucks), TUDOR SportsCar Championship and NHRA drag racing. In addition, Ford’s action motorsport programs involve Global RallyCross, Formula Drift, Rally America and Lucas Oil Off Road Racing Series. The department also oversees the development and marketing of Ford Racing Engines and Performance Parts, the outreach programs with all Ford Clubs and Ford enthusiasts, and the marketing of the Ford Racing brand. For more information regarding Ford Racing’s activities, please visit www.fordracing.com, www.facebook.com/FordRacing, or @FordRacing on Twitter. 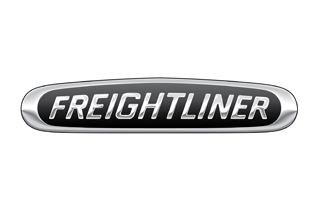 Freightliner Trucks is a division of Daimler Trucks North America headquartered in Portland, Oregon and is the leading heavy duty truck manufacturer in North America. Daimler Trucks North America produces and markets Class 4-8 trucks and is a Daimler company, the world’s leading commercial vehicle manufacturer. 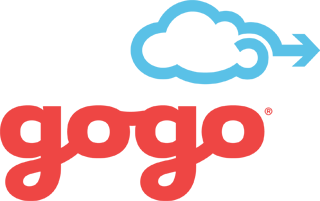 Gogo is a leading global aero-communications service provider that offers in-flight Internet, entertainment, text messaging, voice and a host of other communications-related services to the commercial and business aviation markets. Gogo has more than 2,300 commercial aircraft equipped with its services on eight major airlines and more than 1,800 aircraft equipped with wireless in-flight entertainment systems. More than 6,700 business aircraft are also flying with its solutions, including the world’s largest fractional ownership fleets. Gogo also is a factory option at every major business aircraft manufacturer. Honeywell Aerospace products and services are found on virtually every commercial, defense and space aircraft, and its turbochargers are used by nearly every automaker and truck manufacturer around the world. The Aerospace business unit develops innovative solutions for more fuel-efficient automobiles and airplanes, more direct and on-time flights, safer flying and runway traffic, along with aircraft engines, cockpit and cabin electronics, wireless connectivity services, logistics, and more. The business delivers safer, faster, and more efficient and comfortable transportation-related experiences worldwide. For more information, visit https://aerospace.honeywell.com or follow us at @Honeywell_Aero and @Honeywell_Turbo. Ike Behar combines traditional craftsmanship with new age style to forge an ever changing collection that is as timeless as it is contemporary. Originally, known for high quality dress shirts, the Ike Behar product line has expanded – through a broad spectrum of licensees – into a complete lifestyle brand that now includes sport shirts, neck wear, outerwear, jewelry, accessories, and loungewear, in addition to exquisitely tailored suits, sport coats, and dress slacks. The brand has boutiques in Charlotte, D.C., Charleston and Chicago and is available at high-end department stores and specialty shops nationwide. Still family owned and operated, Ike Behar continues to use only fine materials, while maintaining a strong focus on quality and craftsmanship. Ike Behar is based in Miami and in production in the United States and across the world. MasterCraft has been shaping the boating industry since 1968. More than four decades after the original MasterCraft made its debut, our goal remains the same – to continue building the world’s best ski, wakeboard and luxury performance powerboats, year after year. Our Vonore, Tennessee plants are staffed with dedicated professionals, working on your next boat. LEGACY. POWER. PRECISION. PROGRESSION. 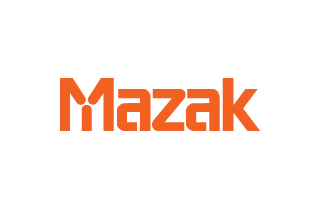 Mazak Corporation is a leader in the design and manufacture of productivity improving machine tool solutions. Committed to being a partner to customers with innovative technology, its world-class facility in Florence, Kentucky recently increased its production capacity to 200 machines per month. Continuous training and development of the workforce has created a “lean” culture, which has created opportunities for continuing growth in America. Mazak maintains eight Technology Centers across North America to provide local hands on applications, service, and sales support to its customers. PPG Industries’ vision is to continue to be the world’s leading coatings and specialty products company. Through leadership in innovation, sustainability, and color, PPG helps customers in industrial, transportation, consumer products, and construction markets and aftermarkets enhance more surfaces in more ways than any other company. PPG offers a variety of refinishing materials for cars, trucks and fleet, and industrial vehicles including the products that support Team Penske on and off the race track. Small body shops, large productivity focused collision centers, industrial parts and product manufacturers, specialty and custom finishers, and fleet refinishers and owners can all benefit from PPG solutions. Look to these popular and proven PPG brands to address your diverse coatings requirements: Aquabase Plus, Commercial Performance Coatings, Delfleet Essential, Delfleet Evolution, Deltron, Desothane Evolution, Environase High Performance, Global Refinish System, Nexa Autocolor 2K, and Vibrance Collection. Learn more at PPGRefinish.com. Founded in 1883, PPG has global headquarters in Pittsburgh and operates in more than 60 countries around the world. PPG sales in 2011 were $14.9 billion. 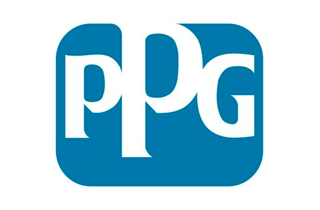 The company’s shares are traded on the New York Stock Exchange (symbol: PPG). Safety-Kleen is a leading provider of environmental services to automotive, commercial, industrial, and customers, and the largest re-refiner of used oil and provider of parts cleaning services in North America with approximately 4,200 employees serving more than 200,000 customer locations in Canada, Puerto Rico, and the United States. Safety-Kleen delivers a set of sustainable services to meet the required, recurring environmental needs of its customers. 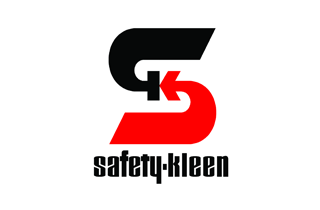 For more information about Safety-Kleen, please visit Safety-Kleen.com. Shell is a global group of energy and petrochemical companies with 93,000 employees in more than 90 countries. In the United States, Shell operates in 50 states and employs nearly 20,000 people using technology and innovation to help tackle the challenges of the new energy future. The Shell downstream organization manages a portfolio of top quality brands including the #1 selling gasoline and premium gasoline brand and Pennzoil, the most trusted motor oil brand in America. Shell’s motorsports technical alliances around the world provide a testing ground for fuel and lubricant technologies and products in demanding road conditions. 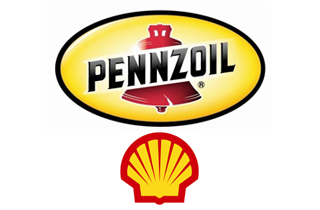 The knowledge Shell and Pennzoil gain through these alliances help address tomorrow’s world mobility energy challenge with efficient solutions that power and protect motorists around the globe. 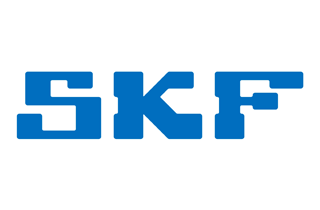 SKF, the Knowledge Engineering Company, is a leading global supplier of friction reducing solutions for industrial and transportation applications. Products include bearings, seals, mechatronics, and lubrication systems. The company also offers a broad scope of services that include technical support, maintenance and reliability services, engineering consulting, and training. By combining our expertise in bearings, seals, and lubrication, we can increase the fuel efficiency and performance of passenger and commercial vehicle systems including wheel ends, transmissions, and drive trains. Lincoln, an SKF Group Brand, specializes in centralized lubrication systems that automatically direct precise amounts of grease or oil to bearings, pins, bushings, and other lubrication points as well as lubrication pumps, hose reels, control valves, used fluid drains, grease fittings. and a comprehensive line of grease guns. For more than 100 years, Lincoln has been a preferred brand for car dealerships, fleet operations, independent mechanics, and advanced do it yourself car enthusiasts. Today the SKF Group is present in more than 130 countries with 15,000 distributor locations worldwide. Annual sales in 2011 were $9.8 billion, and the number of employees was 46,039. Snap-on Tools Company is a leading global innovator, manufacturer, and marketer of tools, diagnostics, and equipment solutions for professional users. Product lines include hand and power tools, tool storage, diagnostics software, information and management systems, shop equipment, and other solutions which are used by technicians and professionals at independent repair shops, vehicle dealerships and repair centers, and in the marine, powersports, and aviation industries. Snap-on is one of the largest non-food franchise companies in the world selling its products through more than 4,000 franchisees worldwide, company direct sales, and the Internet. 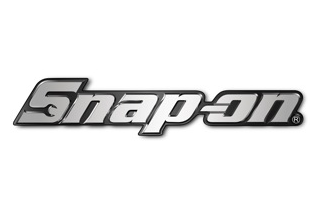 Snap-on Tools is a subsidiary of Snap-on Incorporated, which was founded in 1920 and is a $2.9 billion, S&P 500 company headquartered in Kenosha, Wisconsin.